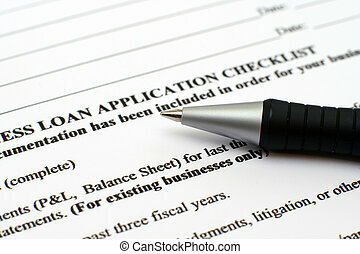 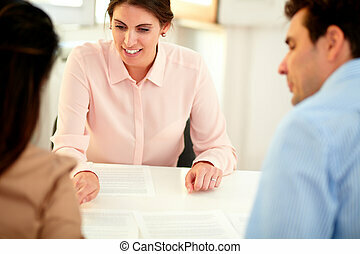 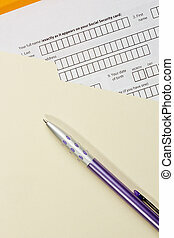 Financial application form. 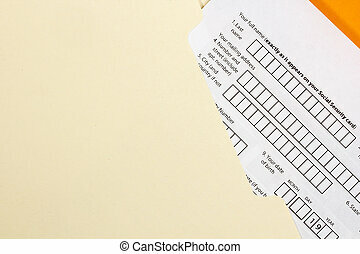 Blank credit application form with envelope and pen close up. 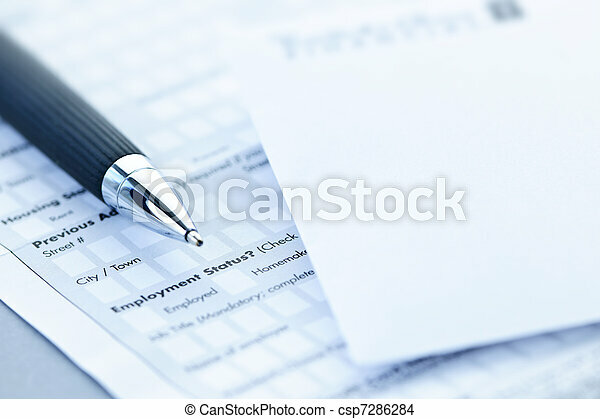 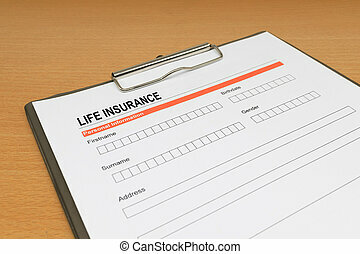 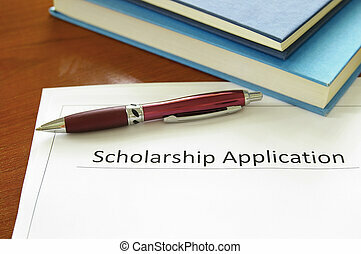 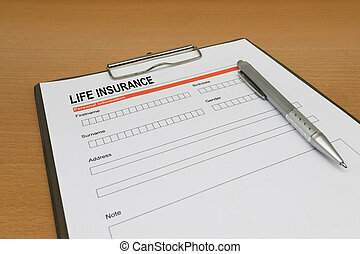 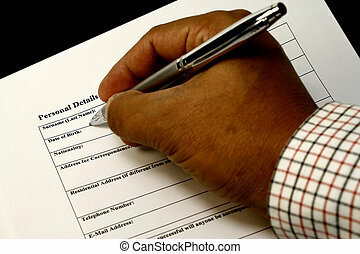 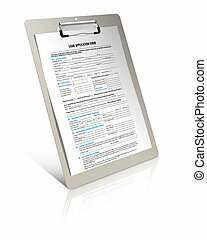 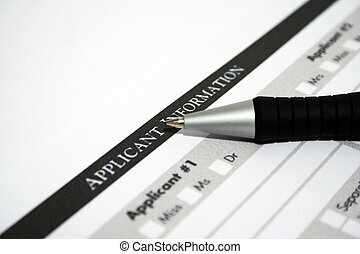 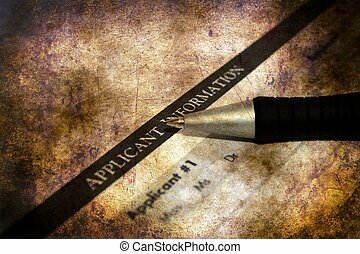 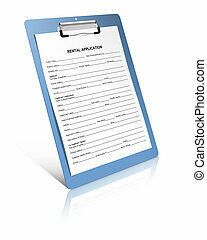 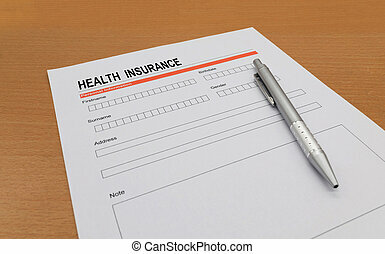 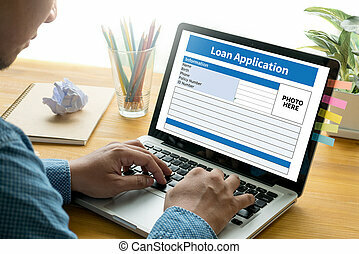 Directly above photograph of an application form.